I have been both blessed and cursed by my home. You see, my home was my grandmother’s home. The matriarch of our family, the woman for whom I was named, my archetype for ‘Grandmother’. And she loved her home. As it was. As she made it. So nearly a decade after her death, when Chip, the girls, and I moved in, it was like coming home. I was immediately welcomed by each room and knew exactly where each piece should go: the Sheraton sideboard on that wall; the bull’s eye mirror opposite it, over the mantel. Our move, as moves always are, had been unsettling to us all, so the warmth of our new-old home’s embrace was calming, even necessary. As I said, we have our moments. Over the years (we moved here in 2001) we’ve changed little pieces here and there: soapstone counters and new cabinets in the kitchen, paint here and there. In fact, several Christmases ago, the girls painted and completely decorated my grandmother’s study, turning it into my perfect, private space. You see, I am blessed. But still, much as I love my home, its history, its embrace, it is time to re-think it and make it my own. So I’ve decided, as part of this catharsis, to take you on a tour of our home, Clifton-on-the-Monocacy (yes, every self-respecting farm has a name, and that is ours.). I’ll share with you the spaces and contents that make my house my home, and then, online, you’ll have the opportunity to buy some of these one-of-a-kind items, one room at a time. And, yes, each of the main floor rooms has a name: The Long Room, the Square Room, the Dining Room, The Glass Room, and the Kitchen. We’ll be visiting them in that order. Just as Chartreuse & co is the expression of my ideal shopping experience, so I want this house tour to be the ultimate tour: I always want those just-right pieces I see in blog posts and magazines. This way, you’ll get to have your pick of the great stuff you see! So here’s a few vintage pictures to tease you – showing the house over the years. Enjoy! Circa 1966. Here’s a better shot of the steps. I love that they are curved. Not too long after this, new floors and a custom Oriental rug were put down (it’s still here). 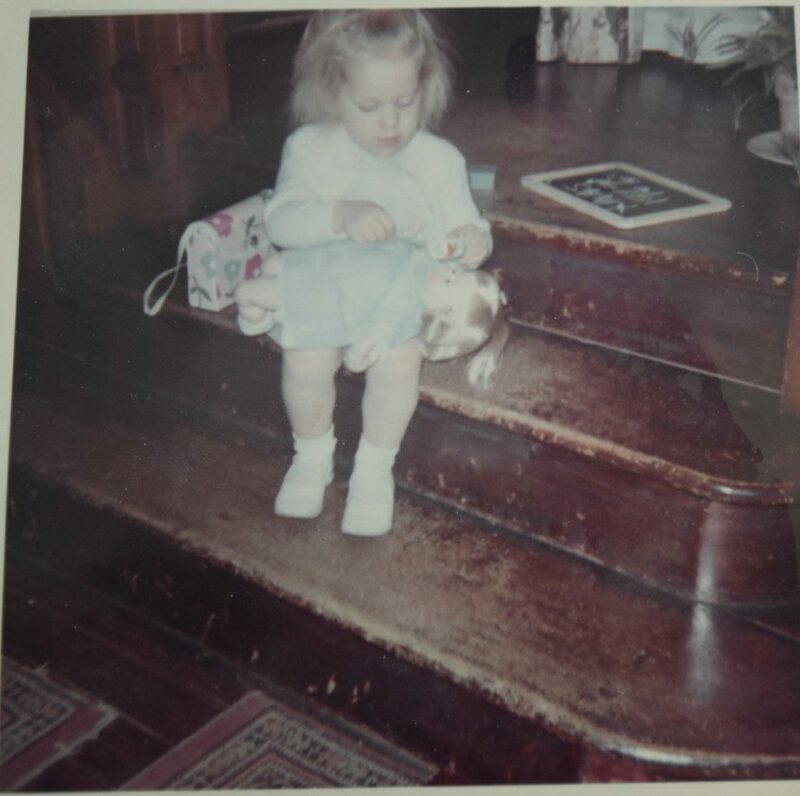 That’s me with my doll and stylish purse. Circa 1967. The Square Room. So-called because of it’s shape. It flows directly off the Long Room through a massive pair of pocket doors. The television was always in this, the smallest room downstairs (15’x15′). 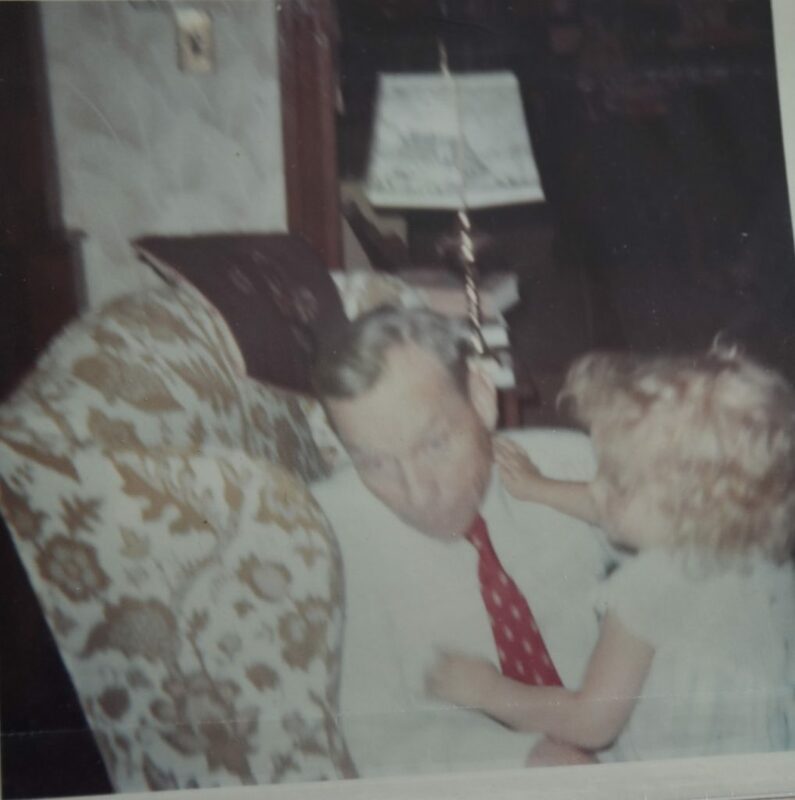 That’s me kissing my grandfather goodnight. Circa 1968. The Dining Room. 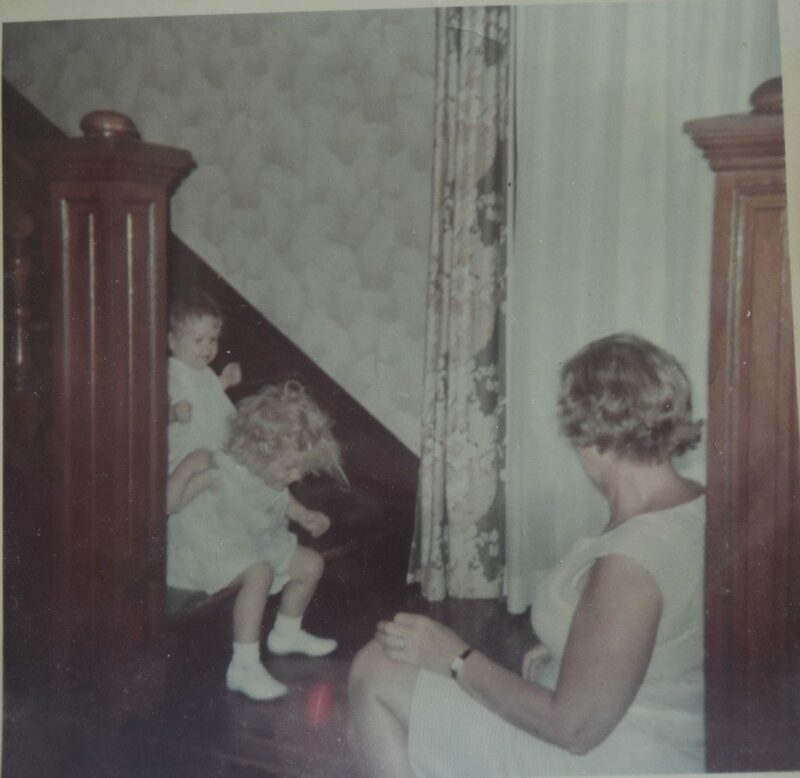 I noticed going through the pictures that not only is the Dining Room at the physical center of the house, it’s also the heart of the house. Most of my pictures were taken in this room. Here you can see the house before the bay window was opened up onto the Glass Room in the large, modern addition. If you look out the windows, you can see the brick supports are already in place for the addition. 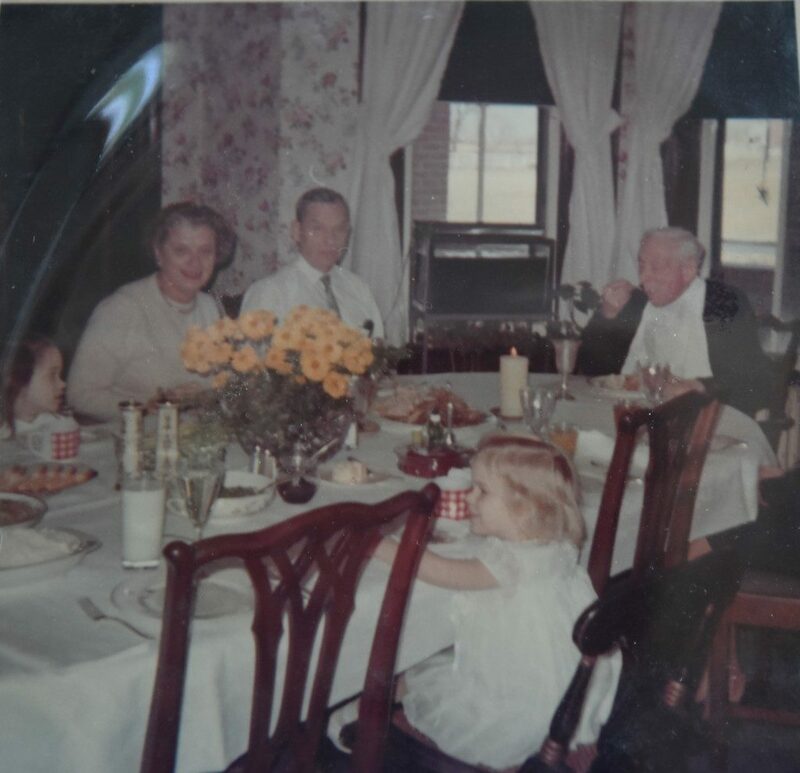 Pictured here, from the left, facing the camera are my older sister, Margaret, my Grandmother, my Grandfather, and my Great-Grandfather, who was ailing at that time and had come to live with my grandparents. That’s me, all alone on the other side of the table. Circa May 1968. Cutting my favorite cake: my grandmother’s Lemon Pound Cake with lemon drizzle. You can see how excited I am! That’s my beautiful mother helping me cut my birthday cake. 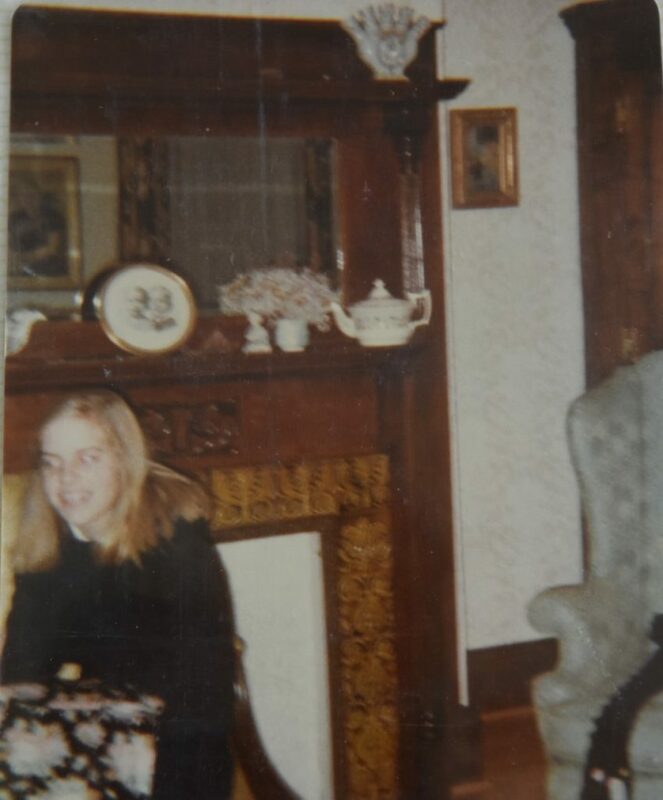 By the way, that round, convex mirror above the mantel is still there. We put it right back when we moved in. Circa May 1969. 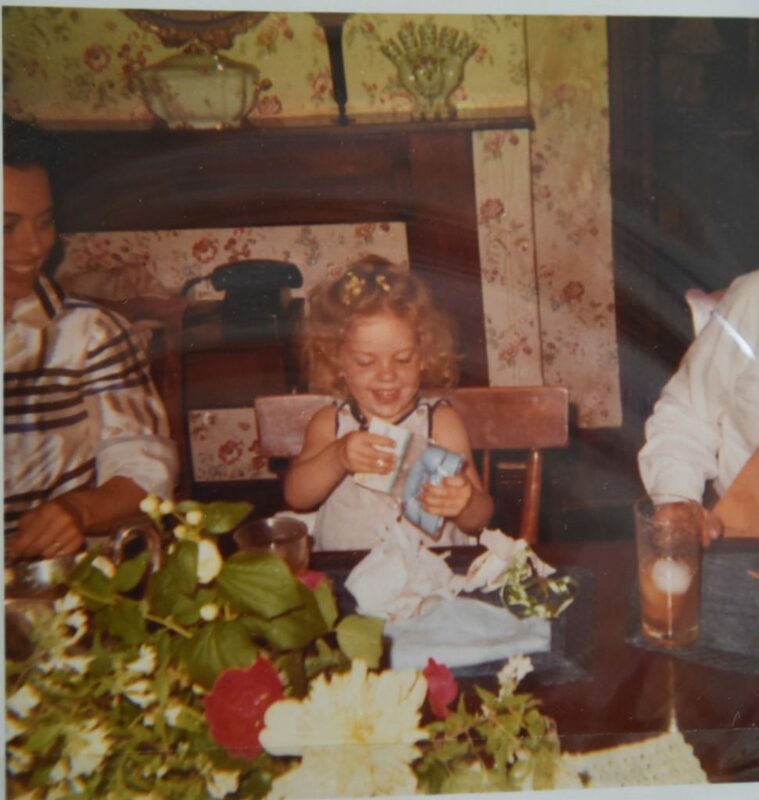 Just to give you a glimpse of the constancy of life at my grandmother’s house when I was a little girl. My 5th birthday. My mother, elegant as always, looking on. There are many more photos like this, just wanted you to have a sense of it. Circa 1976. The Dining Room with its ‘new’ wallpaper (I actually love this paper). 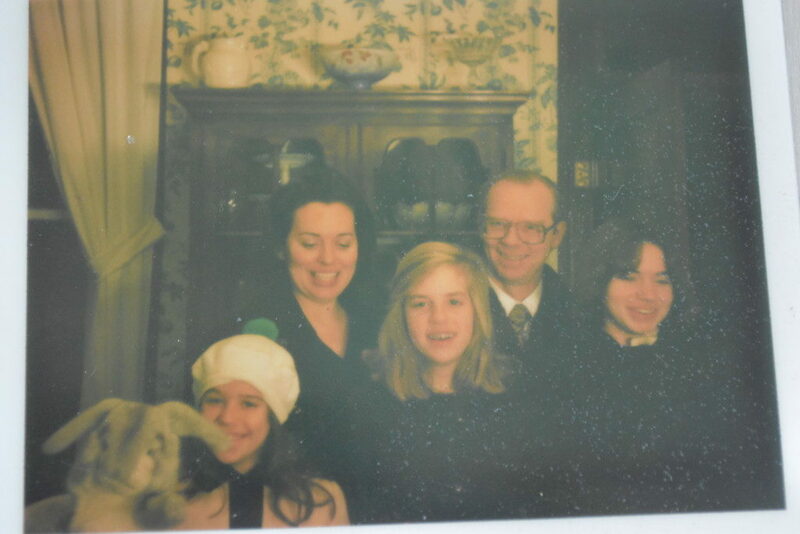 My parents and my sisters, Victoria in the hat, and Margaret on the right. (I’m the blonde in the middle). We’re all standing in front of the table on the opposite side of the room from the bay window and entrance to the Glass Room addition. Today, only the piece of furniture behind us has changed and the curtains are gone. I’ll try to gather some more historic photos as I go through. This has already been a great pleasure to me. Hope you have fun with it, too! I’m very happy to hear about your family home. The historic photos are great. I’m looking forward to seeing your blog and excited to journey with you on the CHANGE! Love this! I love all the great pictures and your perspective on this home that’s been an important part of the history of many of us in the family! I look forward to future installments! Thanks, Susan! If you have any photos of Clifton (the house, grounds,anything), I’d love to include them. My email is [email protected]. Lovely! Thank you for sharing your memories and home. Its great to see you bringing both generations together . . . keeping some of your grandmothers design and making some your own. Perfect! Great to hear from you, Kim! Thanks! It’s a work in progress.. Thanks so much. I’ve always been curious about this beautiful house. Thanks, Alice. Can’t wait to hear your thoughts as it all unfolds! It looks just like my Gran’s dinner table. I’ve always wondered about the house. 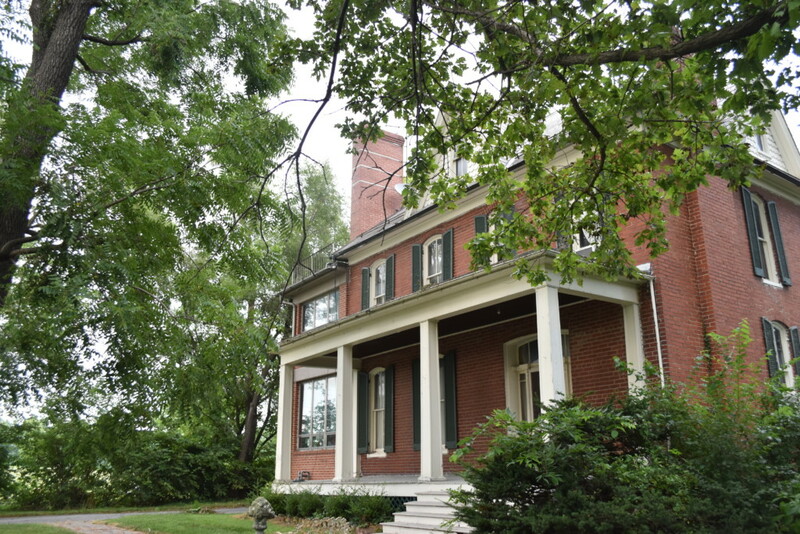 It’s a great old house on some nice property. Thanks for a trip down memory lane. Good luck on your journey. Thanks, Michelle! I hope you enjoy the journey with me. Well do I remember this house, just down the road from grandmother’s house. I remember the huge Christmas trees that stood proud, chocked full of ornaments, by the staircase. The staircase figured in just about every family gathering as a central focal point. Great photos of your grandmother and grandfather an (great) granddaddy Thomas. Love these old photos Virginia!!! 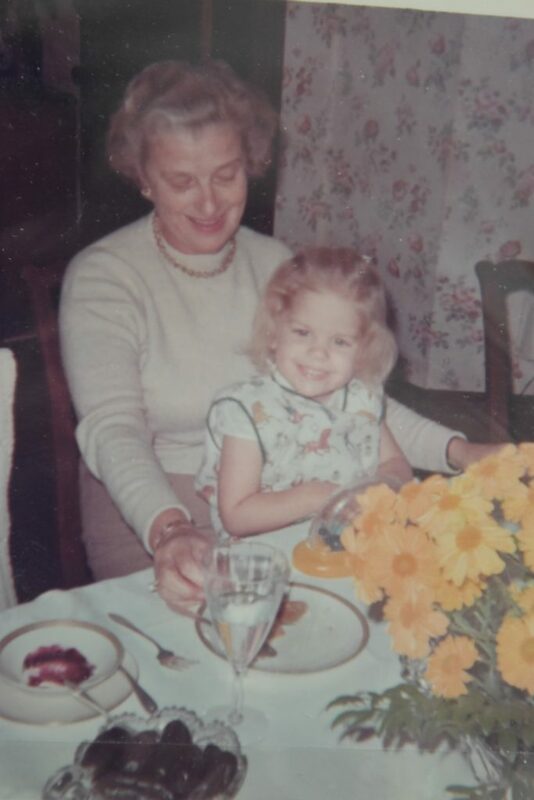 How lucky to have such fond memories and loving moments with grandparents and even great grand parents. 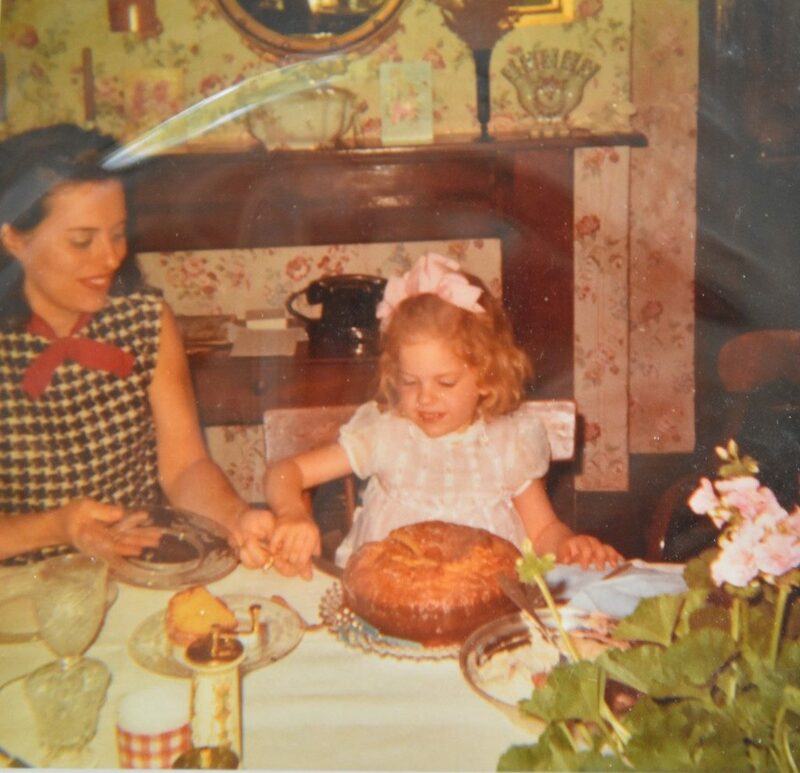 I recall huge family dinners at my grandparent’s home on their farm in Alabama….home made biscuits, fresh whole milk from their cow, fried chicken, ham, white potatoes, sweet potatoes, corn on the cob, greens, churned butter, etc. Praying future generations enjoy the blessings of family gatherings. I hope so, too. Thanks for reading, Alice! Thank you for taking the time to put these great pictures together and post. Reminds of my family that lived in Adamstown.